How many times we don’t even try something new because we don’t have the right tool on hand? And many times it’s because we don’t know the right information. I know that for years I wasn’t interested in applique because I did not have a reliable water soluble marker (now I found the perfect markers and I can’t stop designing applique quilts and patterns). I also know that I constantly avoid fussy cutting. And it’s not because of the fabric waste, it’s because it’s time-consuming. But it shouldn’t be this way! Let’s learn more about fussy cutting! First, for those who don’t know, fussy cutting means isolating and cutting out a specific motif from a print fabric. You can cut any shape (square, hexagon, triangle…) and you could use them in many quilt blocks. Fussy cutting is great for making postcards too (more about it soon). But I love fussy cutting most for creating Kaleidoscope effect- when blocks are created with patches that have identical printed motif. I have a beautiful print with Christmas ornaments and I thought the ornaments would look gorgeous pieced into a bowl so I started to make that bowl and the magic happened! It did not take me as much time as I thought! And it’s because I found an amazing way to quickly find and cut the exact motif I want multiple times. Quick fussy-cutting – how to! First, you have to create a transparent plastic template for your shape; for my bowl, I made a hexagon template. Then you place the template over the fabric, keeping it centered over the desired motif. Then you have to mark three points on the template – points that you can easily recognize when you have to cut other identical pieces. See below the black points I marked for my motifs. Mark with an arrow the top of the template so you know the orientation of the template on fabric (see my black arrow). You could use for marking something erasable (a pencil or water soluble marker) but a permanent marker is fine too if you don’t have too many “sets” to fussy cut. Trace around the template then cut out the piece. Repeat this process as needed – for my bowl, I needed 6 pieces. Place the template over the desired motif, matching the points on the templates over the corresponding points on the fabric- it takes you 2 seconds and that was the hardest thing of fussy cutting! Use a rotary cutter and a mat and cut out the pieces. See here the Kaleidoscope effect. If you need a new set, remove the markings, find a new motif to fussy cut and mark other three points. I used a permanent marker so for the second set I used a marker of a different color. Here is my second set of 6 hexagons. 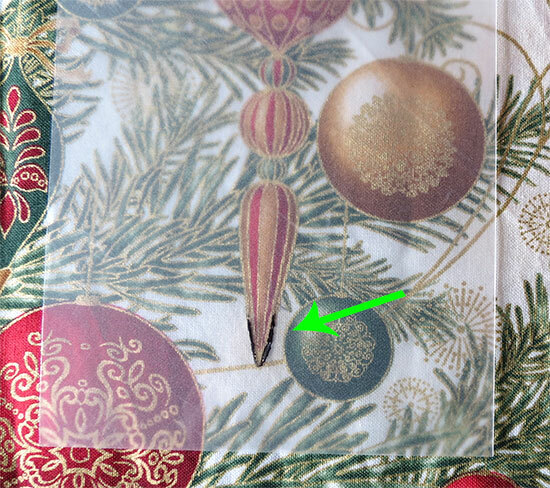 If you think it is difficult to find recognizable points for your motifs, you could even draw a part of the motif and that is all you need – see below the black marking. I used my pieces to make these bowls. To sew these bowls I used the same technique used for these flower boxes. I used the same Vilene S520 interfacing, but for big bowls, a heavier interfacing (like Fast2Fuse or Peltex or heavyweight Decovil) is even better. My bowls are made with hexagons with 3” edges. Definitely, fussy cutting adds a lot to a bowl! One more thing: do not prewash the fabric you think you might use for fussy cutting; the washing might distort the fabric and you could end up with “not so identical” pieces! I know that from now on fussy cutting doesn’t scare me anymore. How about you? If you want to download the templates for these two bowls, click below. I didn’t finish with the bowls ! Thank you. I love your designs and quilting. Beautiful work!!! !